After more than two decades in development, Russia has finally inducted its newest submarine into the Northern Fleet—a massive nuclear-powered submarine hunter christened the Severodvinsk. Better late than never, I guess. 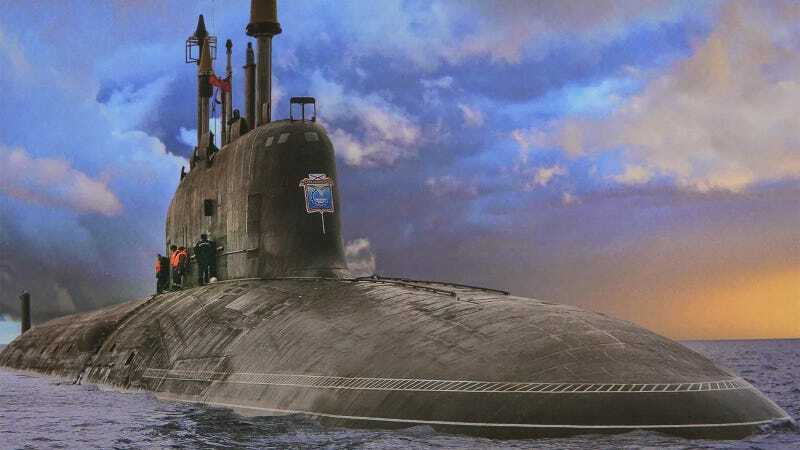 The K-329 Severodvinsk is the first of Russia's Yasen-class nuclear attack submarines, successor to the older Akula-class and designed to counter America's nuclear-powered Seawolf and Virginia class submarines. Construction on the K-329 began way back in 1993 but due to a number of budget issues stemming from the collapse of the Soviet Union, the project suffered continual delays. It didn't even begin sea trials until 2011, and only entered service last Tuesday. However, the sub's capabilities appear well worth the wait. According to Russian state media, the Severodvinsk features "a large spherical sonar system, which occupies its entire bow" and provides a wider and more detailed view than what conventional cylindrical systems can produce. The nearly 400 foot long submarine is also reportedly armed with 533mm torpedoes, eight vertical launch tubes loaded with the supersonic Onyx and Kaliber cruise missiles, and potentially a 9K anti-air missile (an advanced surface to air missile) which would give this sub the ability to surface, shoot down an overhead aircraft, then duck safely under the waves again before a carrier fleet ever knew what hit it.